API stability is our main concernt. The 5.0 -> 5.1 vCNS API change really screwed us. We need ensurance that API’s will not change between major versions. How about adding support for vSphere Tags in the API? (http://www.virtuallyghetto.com/2015/01/custom-attributes-vsphere-tags.html) I know there’s been PowerCLI support for all while, but not all devs use powershell or even windows. Having support in a published API (as opposed to a released SDK/CLI) would give developers a lot more flexibility in using this feature. the last few weeks I was struggling with the automation of vCloud / vRealize Automation administrative tasks with vRO like: New BusinessGroup, New Resservation, Adding Properties, New Entitlement and bringing all these together. 1. SDK for .NET (powercli vmware.vim.dll): could you update these libraries to support running on the new MS cross-platform .NET Core so we can develop/run C# applications that integrate with vsphere in Linux/MacOS also? 2. Publish SDK for .NET in nuget gallery. Nuget is the standard repository/way to obtain/update 3rd party libraries for .NET. So we dont need to extract/update and copy them from a powercli installation. 3. I also vote for a way to automate vmware tools install first time from the previous comments. Hi Alan.. I’ve been deeply embedded in the world of vCloud/vRealize Automation, vCO/vRO, vMA, PowerShell and PowerCli for the past 4 years now and can honestly state these interfaces, utilities and Programs have allowed me to become very efficient and very proficient in my job…Simply put, the benefits to leveraging them have been plenty.. Recently, a requirement surfaced in the environments I support to develop and introduce automated routines that would facilitate “new” installations of VMware Tools at the Guest OS level. I soon discovered the ability to complete this tasking, using existing VMware practices, presented a few challenges for us. 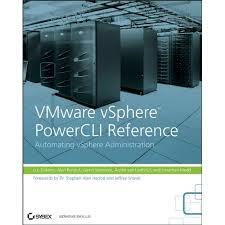 I acknowledge many vSphere/vRO options currently do exist that will allow automated maintenance and “updating” of VMWare Tools but, for the most part, the Tools do need to exist beforehand at the Guest OS level.. I have already reviewed and evaluated a few (other) suggested methods of performing “unattended” installs of VMware Tools, using various s/w Packaging deployment tools, e.g. MSI(exec), or interacting with the Guest OS remotely through PowerShell, via WinRM for example, but these solutions and options just aren’t practical nor feasible in a large/complex vSphere Production/DevOps environment..
To summarize my request, the ability to completely automate “new/fresh” installations of VMware Tools at the Guest OS level woud be a great feature to have as an option. Is this something that VMWare would be targeting to achieve at the API/PowerCli level now or in the (immediate) future? Thanks for the feedback Ron, whilst I am not responsible for the VMtools area I will certainly pass your valuable feedback to the PM for this as im sure they would like to make this easier. I agree, we really need a better and more automated way to install tools into the guests. Well that’s easy – where’s my native OSX support? If I missed it somewhere along the line, my bad. But I seem to recall it being the odd man out… despite being the most widely used desktop *nix on the market by a LONGGGGG shot. When you say native OSX support do you mean our command line interfaces? Correct. It’s been a while, but I seem to recall the options were windows + powershell, or setup a linux vm and ssh to it.